Can A Smartphone Help Your Child Brush Their Teeth Better? This toothbrush can be connected to your smartphone using Bluetooth. It visualizes every movement made with it in 3D. Every time your child makes the right move, they earn points and even prizes, thereby turning brushing their teeth into a fun game. 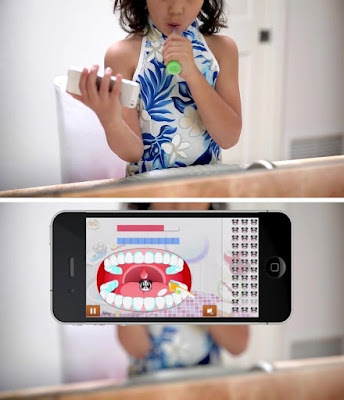 Hmmnnn, I honestly don't know what to say about a smartphone helping your child brush their teeth better. What do you think?